Please : ① Held on the day, in our showroom but can seat about 40 spectator seat, Please note there is a limited number of seats. ② Please refrain from anything which will disturb other people and take seats than necessary. 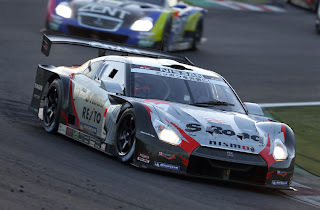 The opening round of the 2013 Autobacs Super GT series, the Okayama GT 300km race is set to take place over two days, April 6 (Sat) and 7 (Sun) at Okayama International Circuit in Mimasaka city in the eastern part of the prefecture. Scene of the opening round for the last two seasons, official testing was held over two days, March 16 and 17, to the thrill of the local fans and allowing the teams to make final preparations before regular season racing action gets underway. Although, like last season, there are four Nissan-equipped teams contesting the GT500 class, the driver lineups are markedly different. Reigning champions Masataka Yanagida and Italian Ronnie Quintarelli have moved from their double title-winning squad Mola to Nismo. In their place, multiple driver's champion Satoshi Motoyama has taken over the lead seat at Mola, and will be joined by up-and-coming hotshoe Yuhi Sekiguchi, who has graduated from the GT300 class. Nismo has changed tyre suppliers and will contest the season on Michelin rubber, similar to Mola. Moreover, Motoyama's former teammate Michael Krumm (Germany) moves to the Kondo RA outfit, to join and support Hironobu Yasuda. 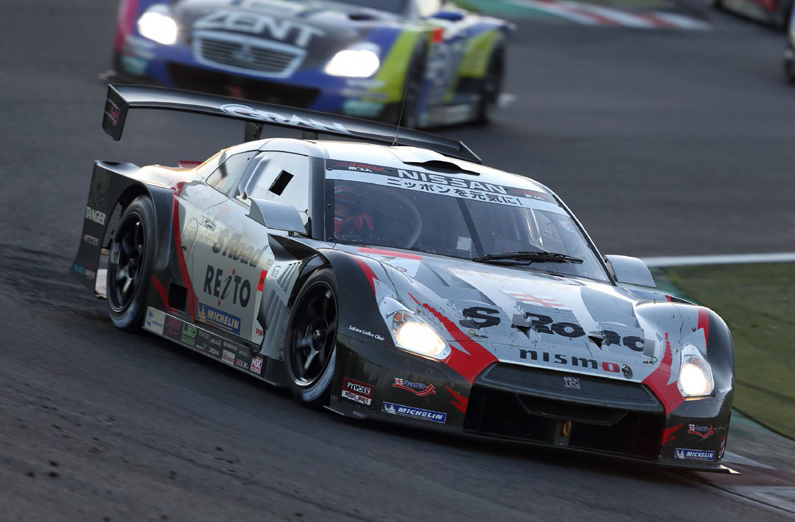 Kondo Racing will continue to contest the series on Yokohama rubber. There's no change in the driver lineup at Team Impul, Tsugio Matsuda and Joao Paolo de Oliveira (Brazil) remaining at the iconic team, which will continue on Bridgestone tyres in 2013. The recent official test comprised of four two-hour sessions, held over two days. All sessions were blessed with favourable weather and good times were continuously set throughout. Leading the Nissan charge, the #12 Calsonic Impul GT-R and #23 Motul Autech GT-R both broke the 1.22:40 track record, set by Michael Krumm in a Fairlady Z in 2004. The #1 Reito Mola GT-R and #24 D'Station Advan GT-R also ran well, both cars completing their test menus and setting stable times. This is the final season under current vehicle regulations, adopted in 2009, so maximum attack is expected from rival camps with consummate machine, with intense battles sure to ensue. Strong performances in qualifying and good fights in the race are predicated, and with opening-round victories in both 2011 and 2012, the pressure will be on to make it a hat-trick of wins for the GT-R entrants. Will the Yanagida/Quintarelli pairing hold on for a third successive victory this year? Or will Mola come through with its third successive win as a team? Also, by just how much will the existing qualifying record be broken on April 6th? These factors are sure to keep interest levels at a maximum. 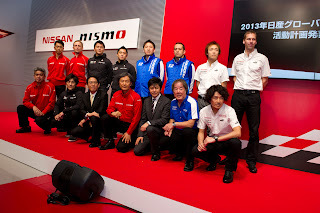 In addition, having fought for GT300 championship glory after making its series' debut only last season, the Nissan GT-R Nismo GT3 will be represented much more strongly this year. In addition to the #3 S Road NDDP GT-R, which will continue as a development platform for young drivers in the Nissan Driver Development Program and driven by Kazuki Hoshino and Daiki Sasaki this year, three privately-entered GT-Rs are set to join the ranks. Stay tuned for updates on their progress.